Rituals help us change modes. Writers often feel as if they exist on the periphery of life. By being observers, we feel a bit detached from the actions of the moment. It’s difficult to blend in, to become a part of things. 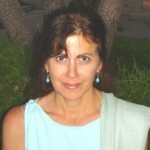 Barbara DeMarco Barrett is an American author, Editor, Journalist and speaker. An accomplished author herself, Barbara DeMarco-Barrett’s first book, Pen on Fire: A Busy Woman’s Guide to Igniting the Writer Within was released by Harcourt in October 2004. The book landed on the Los Angeles Times Bestseller List the week of October 24, 2004. In April of 2005, it won the American Society of Journalists and Authors Outstanding Book Award. Barbara has been editor of The ASJA Monthly, the official publication for the American Society of Journalists and Authors, for four years.